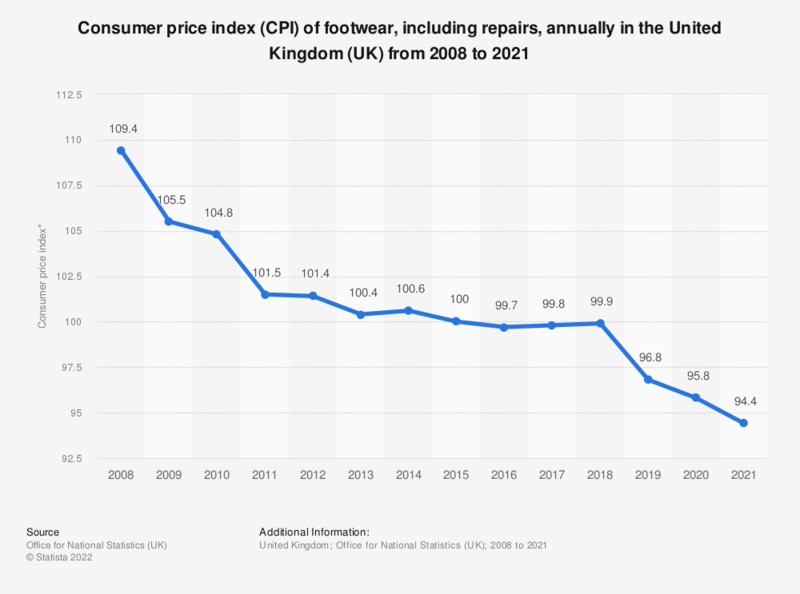 This statistic shows the Consumer Price Index (CPI) of footwear in the United Kingdom (UK), as an annual average from 2008 to 2018, where 2015 equals 100. In 2018, the price index value of footwear was measured at 99.9. Have you ever worn shoes when you knew they were uncomfortable (too small, too tight, heels too high, etc?